Next week we’ll start rehearsing for our final concert of the year, on Friday 30th November. 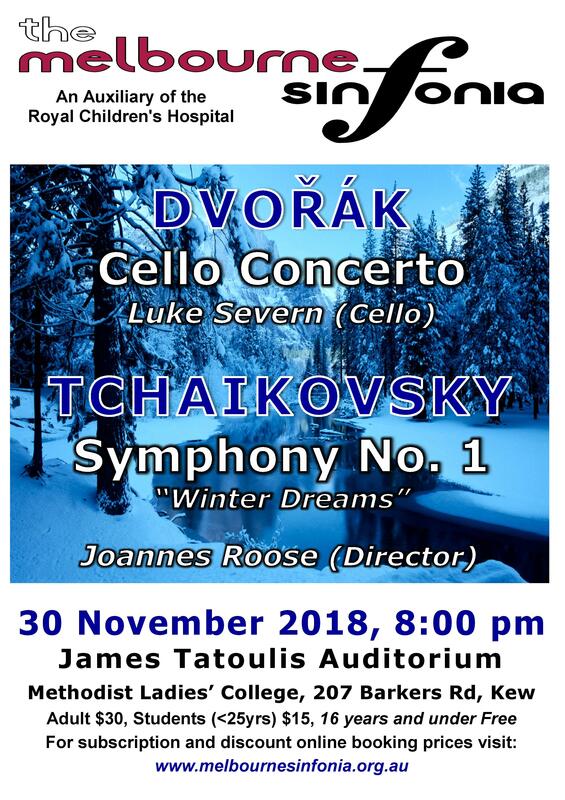 We think the program will be an audience favourite: Tchaikovsky’s Symphony No.1 “Winter Dreams” and one of the world’s most popular concertos – Dvorak’s Cello Concerto with special guest Luke Severn. Information and tickets are available on our Tickets page.